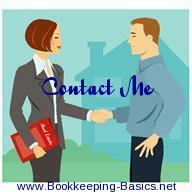 How to Improve Your Finances..
For most people, just thinking about paying the bills brings up a lot of stress. You'd like to have more money, less stress and more freedom to be able to do what you want in your life. Would you agree? Well, I have a powerful resource to share with you today that will show you how to create a more abundant, stress-free, financial future, faster than you ever thought possible. It's a powerful, life-changing webinar being run by New York Times best-selling author Nick Ortner, whose new eBook I mentioned the other day (entitled “103 Disempowering Beliefs About Money and Success and How to Eliminate Them in Minutes!”). That's why so often you see that successful people - those who have the right subconscious patterns - can have major setbacks and even lose all their money because of one challenge or another, yet turn things around, grow and get it all back extremely quickly! 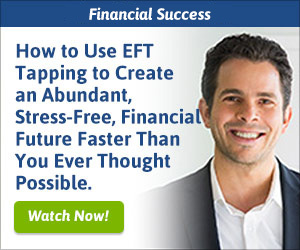 In this webinar Nick is going to show you how to use EFT Tapping to literally rewire your brain for financial success, changing the patterns, eliminating the blocks, creating the traits, belief systems and energy system for success. I can't recommend this webinar enough. Also, I want you to know that what Nick shares isn't just "theory." He has coached thousands of people to improve their finances. And most importantly, he went through a financial transformation himself, which he'll share in the webinar. In fact, Nick went from being almost a million - yes, a MILLION - dollars in debt to completely turning it around, paying off his debt, and building a multi-million dollar business, all in just a few years. P.S. - EFT Tapping and Nick's work comes highly recommended by personal development experts like Louise Hay, Kris Carr, Cheryl Richardson, Dr. Christiane Northrup, Jack Canfield, Bob Proctor, Joe Vitale, Arielle Ford, Dr. Joseph Mercola, and so many others. The list really does go on and on. What you'll discover in this webinar about how the Tapping technique can rewire your brain and impact your financial future is truly life-changing.